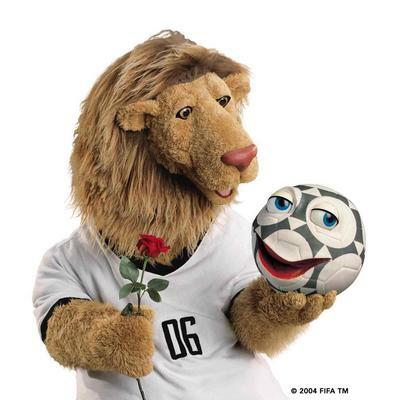 “I would define myself as a perfect combination between the beauty of Lothar MatthÃ¤us, the elegance of Diego Maradona and the charm of Oliver Bierhoff”, said Goleo VI, the official mascot of the 2006 FIFA World Cupâ„¢, at the beginning of his career. 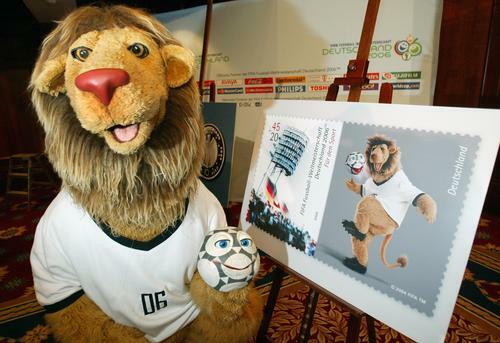 The friendly lion presented on Friday February 9 his own stamp in Berlin. The lion that doesn’t wear pants. Meanwhile…Malaysia is using the Harimau as her mascot. Grrrowlllll. Photos taken from the official website. Siheng!!!!! Ngo duck jor lor!!!!!!! Ammah!!!!! I love I! I love I! I love I! Ole Ole Oleeeee! Now, going to boil one pot of hong tau sar with pak kor (red beans and gingko) for my atm for supper tonite. Kanasai, third position out of …..
2nd position out of 11,900,000 pages. Search for ‘world cup 2006 humour’ brings up two of my posts on Google. OMG,OMG,faints. Next Next post: Just 5 minutes before the World Cup kick-off..
wuching – That’s the thrill of blogging mah. 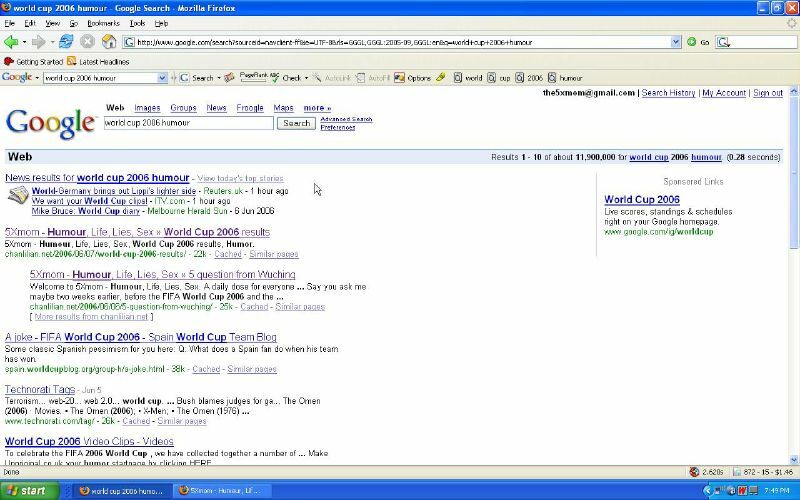 It is much more thrilling than getting 3 cents on adsense. Try it? Neo – Like Winnie the Pooh wor, no wear pants. I bet your boys like the lion. SA – My boys don’t even like football. Ashish – I think they are trying to lure women to football with that rose, right?